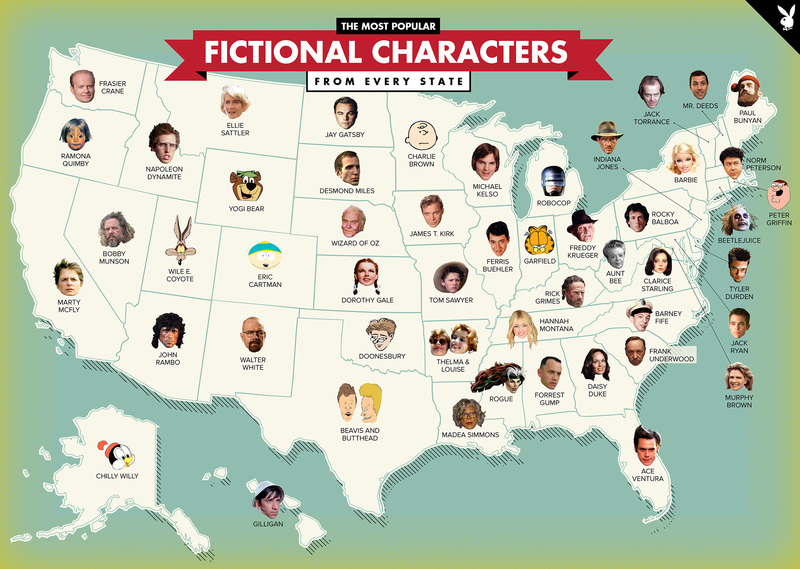 THE MOST FAMOUS FICTIONAL CHARACTER FROM EVERY STATE IN THE U.S.
For the most part, it seems like a decent map…but there are definitely some questionable choices. I wouldn’t have considered Barbie a character that should be on this map, personally. Check out the larger version of the map. What do you think? Did the right character make it for your state?